If you follow my Twitter profile, chances are that you know I’m bonkers for avocados. Years ago when there was a “shortage” in New Zealand I was travelling to Los Angeles and on arrival went straight to a market, bought three, made guacamole and scoffed the lot. True story. I love what they do for the skin and general overall health, and just found out that another benefit of the little treats has been unearthed in a recent study. Apparently, as well as being bloody delicious (see pic above) and one of the most nutritionally complete foods in the world, new international research published in the Nutrition Journal shows that people who regularly eat them weigh 3.4 kilograms less on average and have waistlines around four centimetres smaller, than those who don’t. 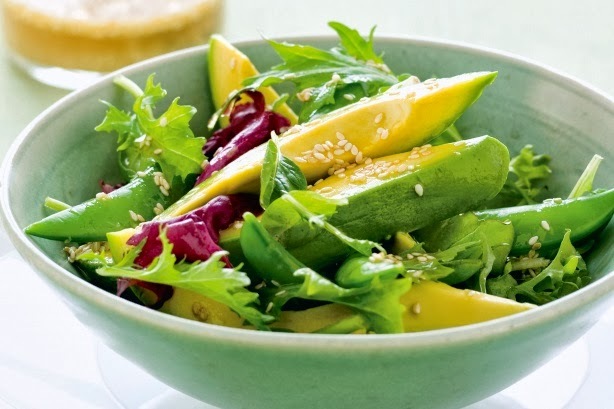 Avocado consumers also have significantly lower BMIs than non-consumers; significantly higher intakes of important nutrients (such as fibre, vitamin E, magnesium, potassium and vitamin K), plus more good fats and a lower intake of added sugars. The findings of the National Health and Nutrition Examination Survey (NHANES) in the United States, published in the Nutrition Journal, proved that eating avocado every day boosted people’s HDL (“good”) cholesterol levels and resulted in a 50 per cent less chance of metabolic syndrome (a group of risk factors that occur together and increase the risk for coronary artery disease, stroke, and type-2 diabetes). Convinced yet? My favourites clearly are a ‘perfect’ food, and my adding one a day to my diet is most definitely a move in the right direction when it comes to my health. Love you even more avocados! *To read the overview from Nutrition Journal visit here.